A new piece of research from Washington University School of Medicine in St Louis is making waves in the birth world, having found that routinely inducing birth at 39 weeks gestation makes no difference to the risk of poor outcomes for babies and – perhaps more shockingly – that it reduces the incidence of caesarean section: from 22% in the non-induced group to 18% in the mothers who accepted induction. In the trial of over 6000 first time American mothers, rates of hypertension and post-partum infection were also reduced in the women who were induced. The research, known as the ARRIVE trial, is bound to tick a lot of boxes for those who already subscribe to the view that birth is a dangerous and poorly designed event in the life cycle of the female, sitting as it does between other clear manifestations of her dysfunction, menstruation and menopause. In a culture in which our female bodies are pathologised and in which every transition they make is viewed as best controlled with medication, intervention and inspection, the ARRIVE trial slots neatly in. The inconvenient flaw in this way of thinking is that women are people, not incubators. They are all different, with different wants and needs when it comes to their birth experience, as indeed every other aspect of their lives. Some, like the 6106 women who agreed to be randomised in the trial, may not mind if they become part of a wide scale medical and cultural experiment; others, like the 16,427 women who were approved for the trial but declined to take part, may indeed mind, very much. Some may, as I did when I was induced with my first baby, find the experience unsettling and undermining to their core philosophy of birth as an expression of health and wellness. Others may not analyse the experience in this way, or may have a positive experience of induction. ARRIVE starts from the premise that mother and baby getting out of the event of childbirth alive counts as a ‘good outcome’, and indeed, should probably be the pinnacle of a pregnant woman’s expectations. This outlook is neatly summarised in the popular phrase, ‘a healthy baby is all that matters’, which, whilst usually well-meaning, has become the go-to response for any woman who is raising her expectations and hopes in regard to her birth, (“never mind that 5 page birth plan – a healthy baby is what matters!”) or who is vocalising her postnatal disappointment or even trauma, (“you’ll soon forget all that – just look at your lovely baby!”). 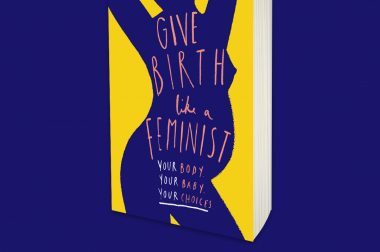 In a world where women are routinely discouraged from thinking of birth as an ‘experience’ and where it’s even implied that conceiving of it this way may be ‘selfish’, or detrimental to their identity of ‘mother’ – traditionally so often firmly knitted to the concept of self-sacrifice – the logic of routine induction for all seems utterly sound. 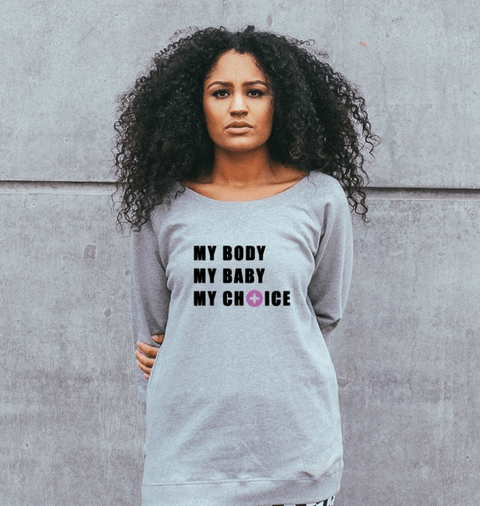 We do not need to ask how it makes the woman feel, what memories of the experience stay with her the most, or how the birth affects her sense of identity, her confidence, her mental health, or her sexual life – these ‘outcomes’ are considered unimportant. 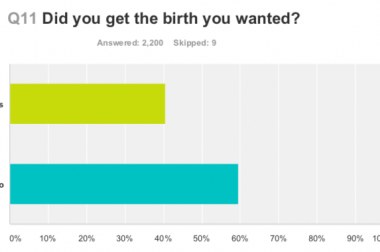 The concept of birth as a rite of passage, an emotional or even spiritual experience, is lost in the ARRIVE production line mentality. 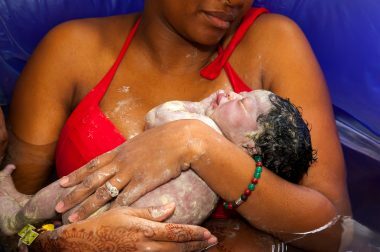 Lost, too, would be the notion of birth as an event that could take place in a non-medical setting, without the watchful eye of doctors, since a pre-requisite of induction is a closely monitored hospital birth. All the evidence we have that women’s bodies work better in low-tech, homely environments with continuous support from a midwife they know and trust, could finally – and perhaps to the relief of some – be abandoned. Home birth, although it has a strong evidence base of safety, makes some twitchy – perhaps because through it women feel so very powerful. For whatever reason, the drive to brand birth as the very opposite of ‘normal’ and ‘natural’ is strong, and ARRIVE will be used by some as a further nail in the coffin of women’s autonomy and choice. There is an arrogance about the ARRIVE trial that has long pervaded maternity care, a patriarchal approach that never stops to question whether there is a limit to ‘doctor knows best’. As well as failing to ask how routine induction impacts on women’s experience of a major life event, it also declines to consider what the long term implications of induction may be for the human race. How might a birth in which many of the normal physiological and hormonal processes of the body are completely bypassed, pan out, in terms of the longer term effects on bonding, development, disease, epigenetics, the human microbiome, and the mental health of women and families. We simply don’t know. Milli Hill is the founder of the Positive Birth Movement, and author of the bestselling Positive Birth Book.